How do I unlock the screen of the device? How do I shutdown the device? How do I access applications on my device? 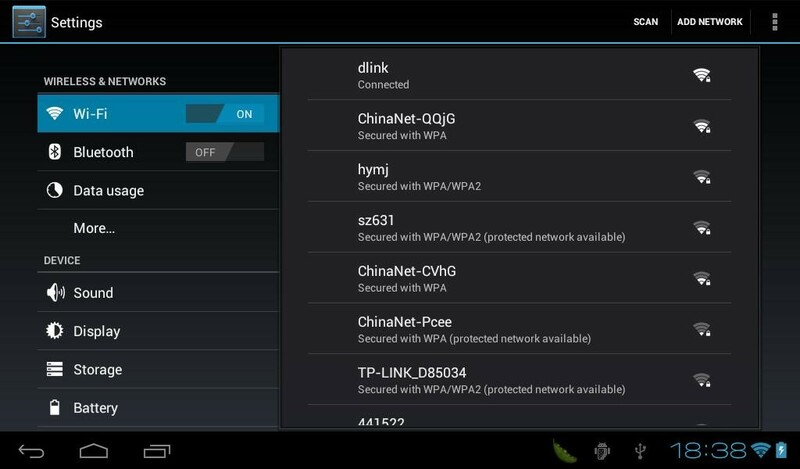 How do I set up a Wi-Fi connection on my device? How do I access internet on my device via external 3G dongle? How do I transfer, backup, or synchronize media files on my device? In case the device freezes or hangs, what should I do? In case of operating system failure, what should I do? How do I perform ‘Factory Data Reset’ on my device? 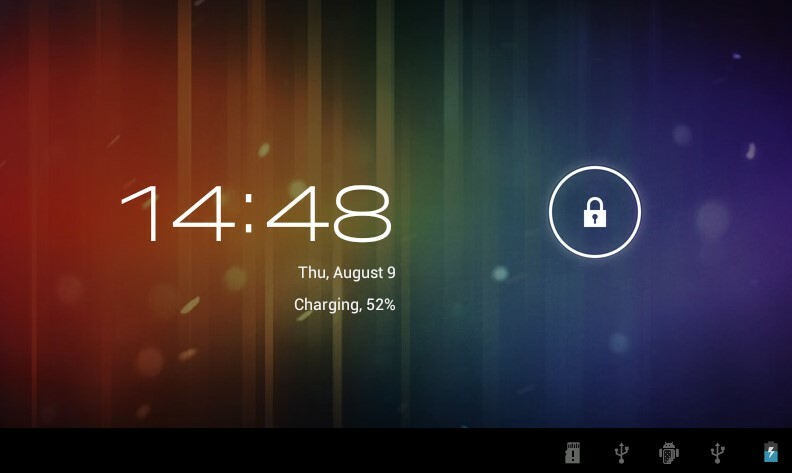 What should I do to get better battery backup on my device? Please make sure that your device is charged enough. Keep pressing the power button for 5-10 seconds to turn on the device. Once the device has been fully booted, please touch and move the lock icon towards the right hand side to unlock the screen. To shut down your device, press and hold the “Power button” until the following dialog popup appears. Click on “OK” to shut down the device. Press icon available on the top right of the screen to open the ‘App drawer’. 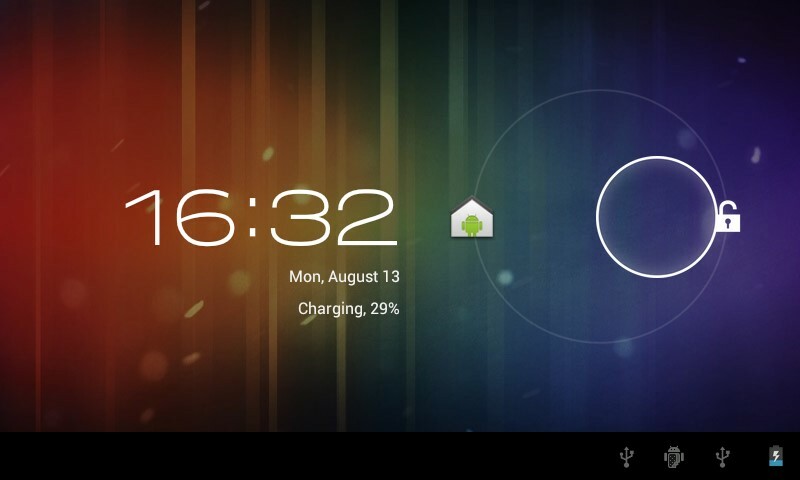 Here you have access to two tabs: ‘APPS’ and ‘WIDGETS’. Press on ‘APPS’ tab to access all the applications available on your device. 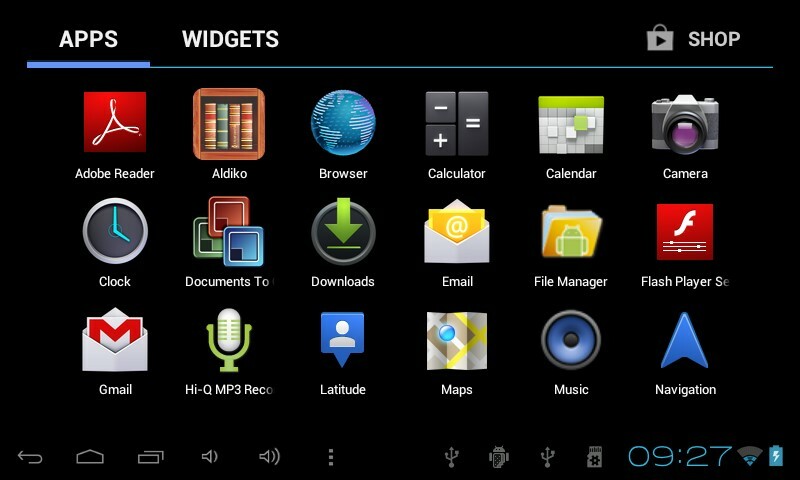 Press on ‘WIDGET’ tab to access all the widgets available on your device. Your device will automatically scan for the available networks. Click on the network that you want to connect to. Enter the password and click on “Connect”. Once the connection has been established, you should be able to access the internet. 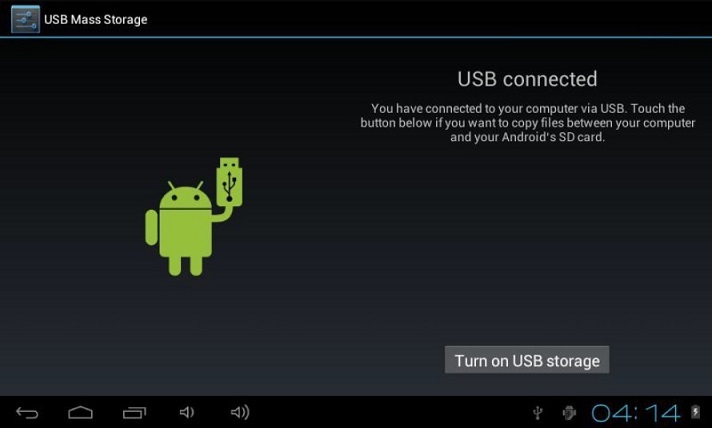 Connect a compatible 3G Dongle to your tablet pc. Note: Make sure that the 3G dongle has an active sim card with a valid data plan on it. Click on “More Settings” option available under “Wireless and Network”. Click on “Mobile Networks” option available under “Network”. Enable “Mobile Data” and “Data Roaming”. Wait for 1-3 minutes to let the tablet recognize data card and initialise internet connection. To confirm that the connection has been established, please click on “Access Point Names” under “Mobile Networks”. You should be able to view the pre-configured APN of your 3G Network Provider. You may have to choose one of the APN to access the internet. 1. Click on the “Advanced Settings” button : . 2. Click on “New APN”. 3. You will be prompted to configure the APN. For configuration settings, you would have to contact your 3G Network Provider. They will assist you in setting up the APN. 4. Once the APN has been configured properly, it may take 1-3 minutes for the internet connection to get established. Press on “Developer Options” as shown below. If “USB Debugging” is enabled, press on it to uncheck this option. Connect your device to your home pc via data cable. With in 5 to 10 seconds, following menu will get displayed on your device. Press on “Turn On USB Storage” to allow your home pc to access the internal storage of your device. It may take a minute or so for the internal storage to show up on your home pc. Once the internal storage of your device shows up on your home pc, you would be able to manage files and folders on it from your home pc. Note: If you are connecting the device to your home pc for the first time, you might be prompt to install the drivers. If this happens, please download the respective drivers from the “Downloads” section and install them on your home pc. Press the power button for 5-10 seconds to turn off your device. After this, try to turn it on again. Too many applications running in the background. Possibility of virus infected files installed on the device. Avoid running too many applications at the system time. Move extra applications to the external memory card. Install an Anti-Virus on your device to keep it safe from viruses. In this case, your device may get stuck at boot screen or crashes constantly. Press on “Backup & Reset”. In “Personal Data” section, press on “Factory data reset”. 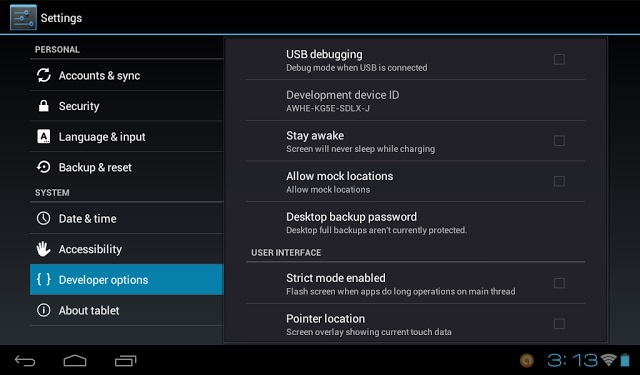 Press on “Reset Device” / “Reset Phone” / “Reset Tablet” button. Press on “Erase Everything” button. Wait for couple for minutes and let the device to perform the cleansing job. Note: This procedure will wipe out all the data saved or installed by you on your device and will bring it to its default state. So, if you need to backup anything, please take care of it before performing this task. Display has been set on full brightness. Using device with Wi-Fi on. Using device with Bluetooth on. Browsing internet on 3G or 2G. Continuous use of front or rear cameras for video chat, taking pictures and shooting videos. Installing too many applications on the device. Working on multiple applications at the same time. Syncing various user accounts on various social and email applications. Running games which requires lot of resources. Try to cut down on resources which you are not using. 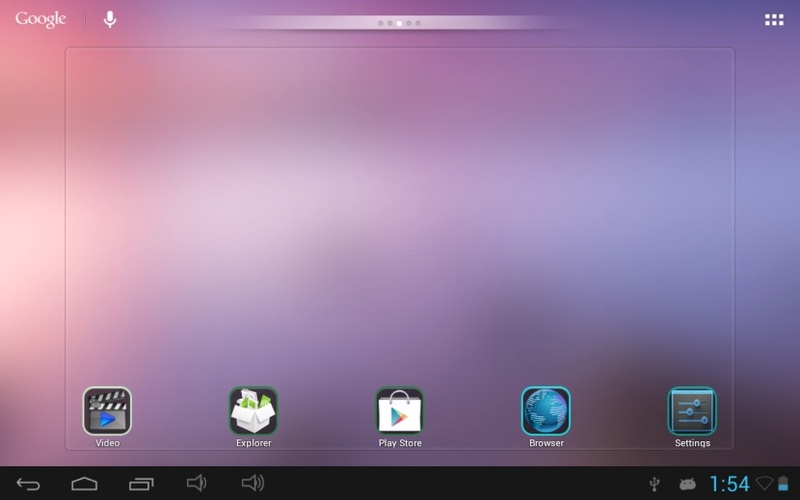 Try to uninstall the applications, installed by you on the device, which you hardly use. Once in a while, try to fully charge your device and then let it discharge until the battery level goes below 10%. You can make use of third party applications which could optimize your device performance, calibrates battery and help you to save battery life. Disclaimer: iZOTRON will not be liable for any kind of damage caused by installing third party applications. So, make use of them at your own risk. How do I charge my emergency charger? How do I charge my mobile phone, tablet pc etc. via emergency charger? Emergency chargers can be charged by connecting them to a home pc or a laptop via data cable. You can also charge your emergency charger by using an external wall charger. Note: Please make sure that the wall charger is compatible with your emergency charger. Disclaimer: Using a wall charger which is not compatible with the emergency charger will permanently damage the emergency charger and its batteries. In this scenario, warranty will be voided and iZOTRON will not be liable for providing any kind of service. Make sure that the gadget, which you are trying to charge, is compatible with the emergency charger. Using data cable and extensions, try to connect the gadget to the emergency charger. Press the power buton of emergency charger for around 3 to 5 seconds to turn it on. Your gadget will start charging right away.